Hi Laney! This creation is just PRECIOUS!! Love the 'girliness' it exudes! Great job! Thanks so much for joining our 'Birthday' challenge at The Sisterhood! We look forward to having you come back again next challenge. Have a wonderful day! 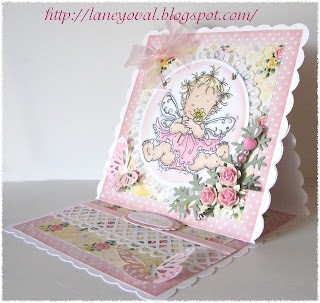 Very beautiful easel card Laney, love the color combo, your coloring, the lace, the layout......dang it all I love it ALL. So sweet what a beautiful card love the image and the colours. Thanks for joining us at Papertake weekly. absolutely precious! love that image! AHhh this is such a super soft and sweet card! Your paper selection is just PERFECT! This is COMPLETELY and TOTALLY cute!! Awwww! So dang cute - what a fantastic easel =) I just love that butterfly, but the image really takes the cake on this beauty! Thanks for joining in the Sisterhood of Crafters Birthday Challenge! Congratulations I love your card. 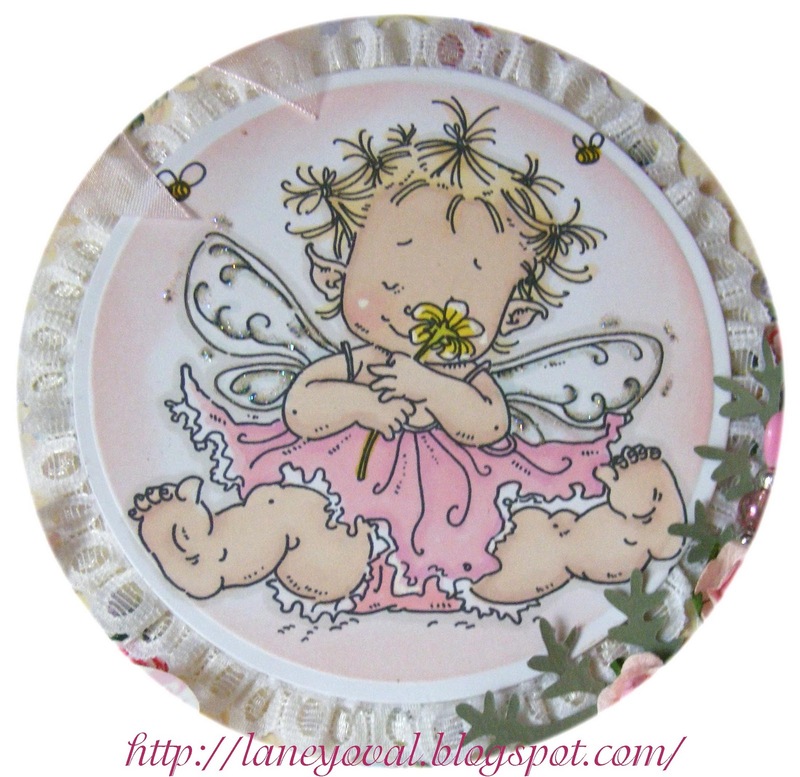 WOW Laney this is absolutely beautiful, the design that image, the embellishments and colours look truly wonderful. So beautiful! Love all the girly details! Perfect fancy fold card! Thank You so much for joining us at Sentimental Sundays this week! It's Beautiful!!! So soft and sweet. You did a wonderful job on it. So glad you joined in this weeks challenge. Debra..DT for The Corrosive Challenge. How beautiful is this?! Love your card!! Fab work. Thanks for plying with us at Crafty ribbons! Hugs! Stunning!!!!!! Thanks so much for playing with us at By The Cute & Girly. Have fun with our 2nd anniversary blog hop and good luck!